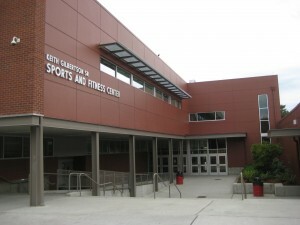 Blog SHS fitness center renamed in honor of Keith Gilbertson Sr.
Thousands of Snohomish High School students and athletes will long remember their association with Keith Gilbertson Sr., and thanks to an action by the Snohomish School Board, thousands more will be linked to the legendary high school coach and educator. 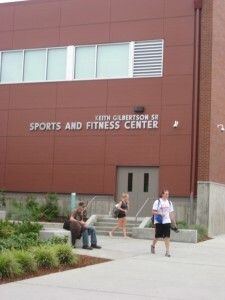 The school’s one-year-old sports and fitness center has been renamed in honor of Gilbertson, who died in February at age 83 after a 61-year career as an SHS coach and English teacher, including the past 3o years as an unpaid assistant coach in football and both boys and girls basketball. 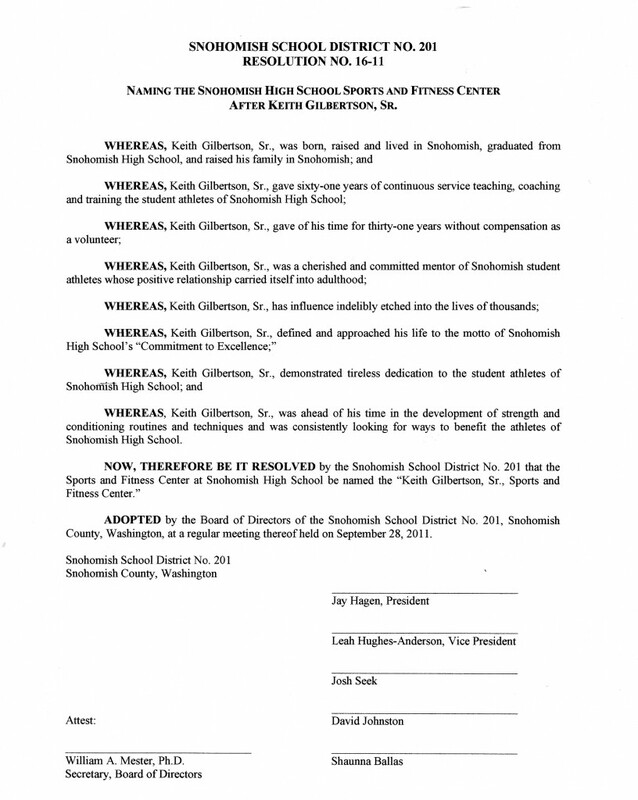 With the lettering already in place on the Keith Gilbertson Sr. Sports and Fitness Center, the Snohomish School Board formally adopted a resolution on the renaming of the facility during its Sept. 28 meeting. Gilbertson also will be honored during halftime of the Panthers’ Sept. 30 football game against Monroe at Veterans Memorial Stadium. In addition to his on-field coaching expertise, Gilbertson earned a reputation as a conditioning genius and was also widely viewed as a mentor and role model in both education and athletics. The idea to rename the fitness center in his honor came from Snohomish School District athletic director Mark Albertine and SHS football coach Mark Perry, both longtime Gilby coaching colleagues. One of four speakers to address the school board prior to its passing of Resolution No. 16-11, Perry declared the renaming effort a wide-ranging affair. “Everyone in the community made this happen,” he said, citing letters of support generated from fellow coaches, SHS administrators, SHS students and student-athletes. Others speaking on behalf of the resolution included SHS student body secretary Grifynn Clay, former SHS basketball great and 2009 SHS grad Katie Benson, and former Panther football great Chris Utt, a 1977 SHS grad and current Glacier Peak High School teacher. Clay told the school board that the SHS student body fully endorses renaming the fitness center in honor of Gilbertson. As an ongoing tribute, the Snohomish Education Foundation has launched a fundraising effort to endow a perpetual Keith Gilbertson Sr. Memorial Scholarship at the high school. Check out CoachGilb.org for details about two four-year, renewable $1,000 scholarships to be awarded starting in 2012, or to see stories and photographs from Coach Gilbertson’s legendary career that endeared him to many and earned him enshrinement in multiple halls of fame. To donate to the endowment effort, click here.